Building a great team filled talented and skilful people is a key business objective. Which is why at City calling we work with you to achieve this goal. Most importantly, we work with you to define your recruitment requirements and ensure these match and support the operational needs of your business, whether it’s a short term-contractual hire of a new C-Level executive. Our recruitment services are tailored to meet your needs and contribute towards business success. Permanent employees are an investment; therefore, it needs to be done right. At City Calling, we work with each client to understand requirements before commencing the sourcing strategy. Our process ensures we capture the role and candidate criteria concisely. Therefore, allowing us to present only the most suitable and relevant candidates to our clients. Larger projects or more specialist areas within your organisation may develop a need for specific skill sets, but not on a permanent basis. These one-off pieces of work can be completed successfully only by using specialist consultants on a project basis. City Calling works with each client to determine precise requirements and source the most suitable and relevant contractor for each project. 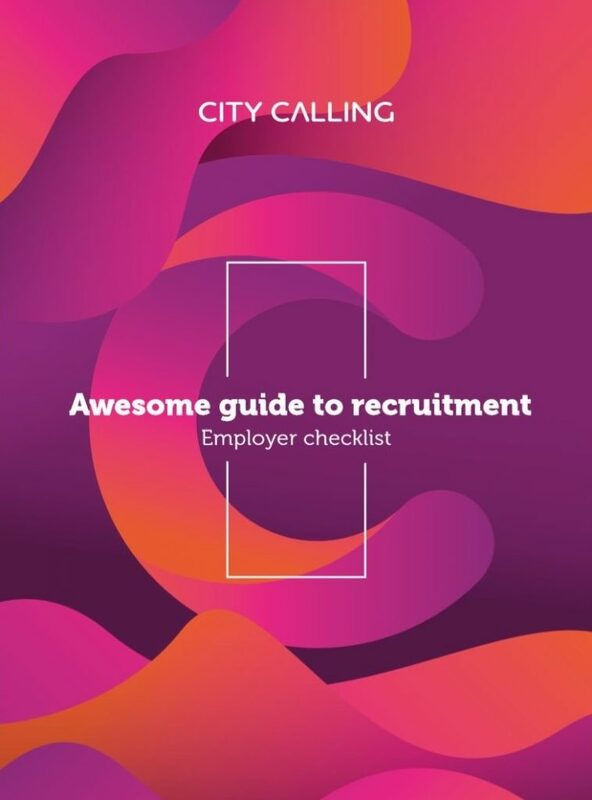 Whether it is flexible working, role cover or an increase in workload, City Calling can deliver additional professional resource on a temporary basis. Based on the contract criteria and requirements, we can search through our pool of temporary, as well as agency-based candidates to support each individual organisational need on a short- or longer-term basis. Identifying and attracting the right ‘C-Level’ leader is crucial to organisational growth and success. It is therefore imperative to match skills, experience and knowledge with the aspirations and objectives of and ambitious organisation. City Calling seeks to understand your overall business objectives before targeting and approaching senior candidates. Get expert advice for your hiring needs. Finding the right employee can be a hard and time-consuming task. Do it right the first time with expert advice and tips from City Calling consultants. Fill in the form below to receive our Awesome guide to recruitment for Employers.